Madam Justice Griffin of the BC Supreme court delivers a recent judgment regarding a contested will and marriage, reaffirming the differing legal tests for capacity to get married and make a will. In Devore-Thompson v. Poulain, 2017 BCSC 1289, an elderly woman suffering from Alzheimer’s married in 2010 and left a will in 2009. The woman’s niece brought a claim to challenge the deceased’s capacity to marry and leave a will. Madam Justice Griffin was tasked with determining whether the elderly woman had capacity at the time she married and made her will. Under the Adult Guardianship Act, R.S.B.C. 1996, c. 6, s. 3, the law presumes an adult has capacity unless the contrary is established and the deceased in this case was presumed to have capacity. Madam Justice Griffin firstly considered the capacity for marriage. Marriage generally has a lower threshold for capacity than managing one’s affairs. After reviewing the relevant authorities, she affirmed the test for capacity to marry; the person must have some understanding of with whom a person wants to live and some understanding that it will have an effect on one’s future in that it will be an exclusive mutually supportive relationship until death or divorce. Next, she considered the test for testamentary capacity set out by Justice Ballance in Laszlo v. Lawton, 2013 BCSC 305, which provides that a testator must be sufficiently clear in his understanding and memory to know, on his own, and in a general way (1) the nature and extent of his property, (2) the persons who are the natural objects of his bounty and (3) the testamentary provisions he is making; and he must, moreover, be capable of (4) appreciating these factors in relation to each other, and (5) forming an orderly desire as to the disposition of his property. With respect to determining testamentary capacity, the person purporting to validate a will is aided by a rebuttable presumption; that the testator knew and approved of the contents and had the necessary testamentary capacity if they can show that the will was duly executed with the proper formalities after having been read over by or to a testator who appeared to understand it,: see Vout v. Hay,  2 S.C.R. 876 at para. 26. 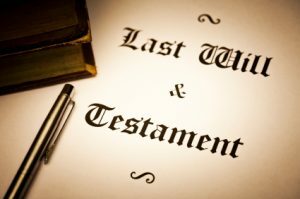 However, where “suspicious circumstances” are present, the person purporting to validate a will resumes the legal burden of establishing that the deceased had testamentary capacity. The courts generally define “suspicious circumstances” as those that tend to call into question the capacity or free will of a testator. Next, Justice Griffin reviewed the evidence in determining whether the deceased had capacity, relying on the oral testimony of the witnesses and the deceased’s clinician. After considering the evidence, including that of the marriage commissioner who noted that the only people in attendance at the wedding were the wedding commissioner’s own witnesses and that the only photo of the deceased at the wedding showed the deceased looking vacant. Madam Justice Griffin concluded that the deceased did not have the capacity to marry and lacked the capacity to make the 2009 will. Regrettably, the deceased’s original 2007 will could not be located, only a copy existed. However, the medical evidence that was before the court led Madam Justice Griffin to conclude that the deceased also lacked capacity to make the 2007 will. No further pronouncement was made with what would next happen to her estate.